Neon totems everywhere, and that's all right! Don't worry folks, Hoebear is on the way! Previously an Xbox One exclusive, the Danish-made co-op puzzle platformer Kalimba is finally heading to PC on April 22. There's also a few new pieces of DLC scheduled to hit, one of which includes ten new co-op levels! 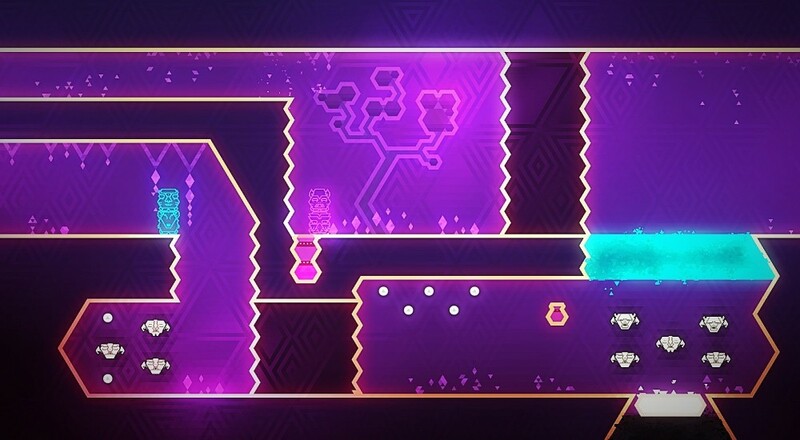 Kalimba keeps its gameplay nice and straightforward. You control totem pieces who move in tandem, triggering platforms, swapping positions, and opening switches by working as a team. Stack them together and you get to do things like double jumping and quadruple jumping. Local splitscreen lets two players control their own stacked colored totems to navigate color-based puzzles together. It's pretty intense, but since everything's so pretty, you'll be fine. The DLC coming to Xbox One and PC includes a local multiplayer competitive speed run mode and the more co-op friendly Co-Optimistic mode that features ten new levels designed just for cooperative play. Current Kalimba players as well as anyone who purchases the game before May 6 can grab the DLC for free. Page created in 1.4938 seconds.